Sports Rendezvous: Willian proves his worth as Alvaro Morata sits on fringes: Five things we learned from Chelsea 1-1 Barcelona. Willian proves his worth as Alvaro Morata sits on fringes: Five things we learned from Chelsea 1-1 Barcelona. 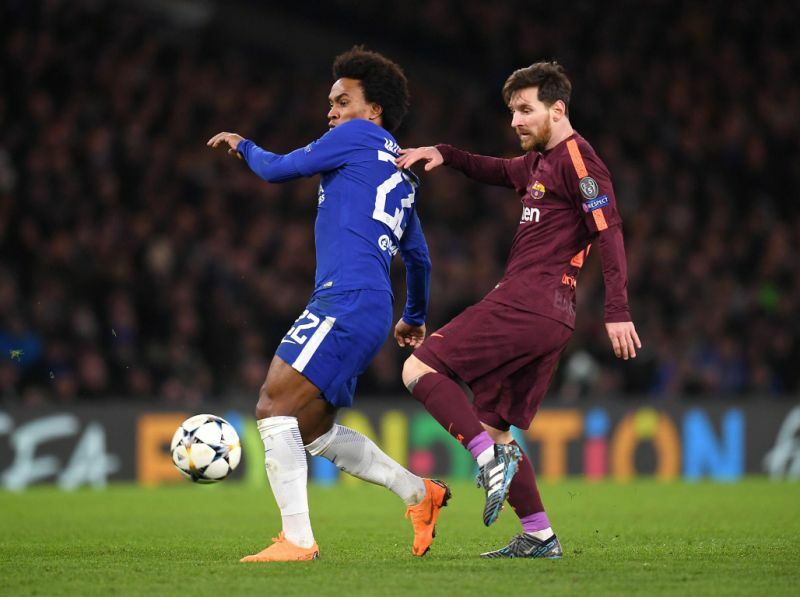 Lionel Messi snatched a crucial late away goal for Barcelona as Chelsea carelessly threw away a hard-earned advantage at Stamford Bridge. Chelsea’s Willian struck the woodwork twice in the first half but it was a case of third time lucky for the Brazilian who went on to net an outstanding goal in the second period. Barcelona, who were stifled for long periods by the Blues, were gifted an away goal with just under 15 minutes remaining after Andreas Christensen gave the ball away on the edge of his own penalty area.